How big can you print from 6 Mega-pixel files? The Kodak Pakon F135 scanners are available in two versions, the plus and the non-plus version. The major difference is the output resolution and speed. The plus version scans a whole role of film much faster than the non-plus version, the difference in resolution is also significant: The plus version can give you 2000x3000 pixel files, while the non-plus will only scan at 1500x2250 pixel. There is however a nice workaround. Pakon seemed to use the same CCD element for both scanners and with the demo software that is called TLXclient you can utilize the 2000x3000 pixel resolution even with the non-plus version however at the reduced speed. The Pakon scanners have been distributed under several names and they are also known as Nexlab scanners. The scanner will give you wonderful colors, good quality and fast processing times, if you can live with the drawback of the comparably low resolution files. OK, compared to the modern digital world these resolutions are not state of the art anymore, but how big do we want to go anyway? Can I print those files big enough with good quality to allow nice prints at 12x18 inch size? This is about the size I normally print on my Epson 3880, when I want big files. Shipping to Germany was very very fast and after my scanner arrived and it had been set up, I was eager to experiment with it. 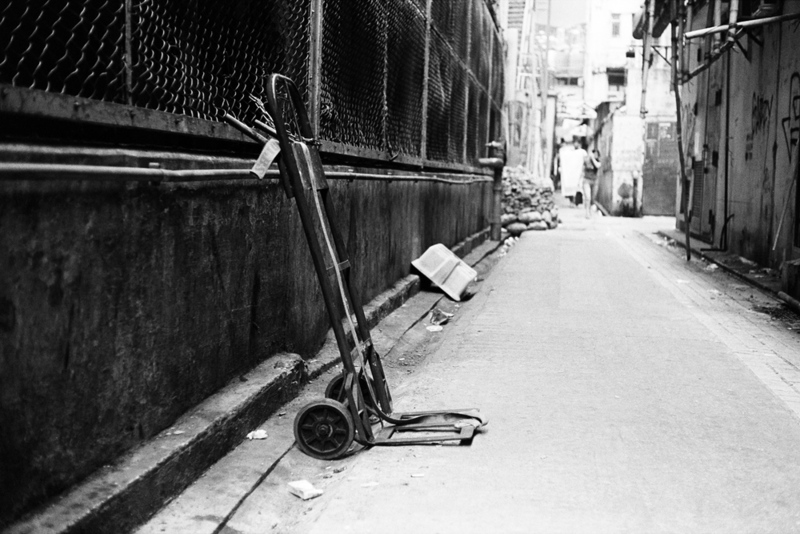 I scanned several rolls from my recent Hong Kong trip and was very happy with the look of the black and white files. The film I used on the trip was Kodak TX400 developed in Kodak XTOL 1:1. For the reasons mentioned above I used the TLXclient software and scanned all rolls at 2000x3000ppi. For some fine tuning I went to Lightroom and did some tweaking there: Only very light sharpening, black point adjustment and a small contrast increase. That´s it. A very clean and simple workflow. Now it was time to print the 6 Mega-pixel file and see if I could get away with a 12 x 18 inch print. This goal was beyond the normally recommended size for a print resolution of 360ppi or even 300ppi. I told Lightroom to slightly upscale the file and this worked very well. The final print was very pleasing with good detail rendering and sufficient sharpness. Even at a very close examination I still could not found any scaling artifacts. The Pakon files can easily be printed up to a size of 12x18 in thanks to the very nice upscaling algorithms available in the latest Adobe products. I looks like I have found my scanner for all 35mm projects! See other scans from this series in my previous blog post "Exploring Hong Kong"